"The NASA App collects, customizes and delivers an extensive selection of dynamically updated information, images and videos from various online NASA sources in a convenient mobile package on your iPhone, iPod touch and iPad." 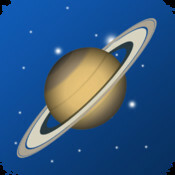 "3D guide to the solar system for aspiring astronomers"
"Easily and quickly identify and locate stars, planets, constellations, galaxies and more by simply pointing to the sky. Your personal telescope to the wonders in the night sky. 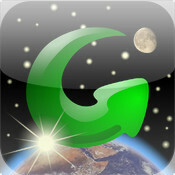 Go outside and explore with GoSkyWatch Planetarium." KidSite - List of Many Space Links!